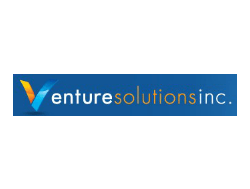 Venture Solutions Inc. provides services and support to start up and existing companies in the areas of financial services, accounting, project and innovation management. Venture Solutions Inc.’s primary goal is to provide flexible solutions for clients and to make its services affordable for small businesses and the self-employed. Established in the spring of 2009, Venture Solutions Inc. believes that imagination and collaboration are key ingredients to success. Venture Solutions also operates a Business Technology Centre, which provides a support structure for new businesses and projects. Venture Solutions currently houses 7 companies employing more than 40 people in a variety of sectors.